This week I’ve been aware of more sadness, worry, fear and dread. I’ve mostly been aware of this when I’ve been on the internet so I’ve tried not to be on the internet too much. Again, Summer Pierre has caught my mood well. 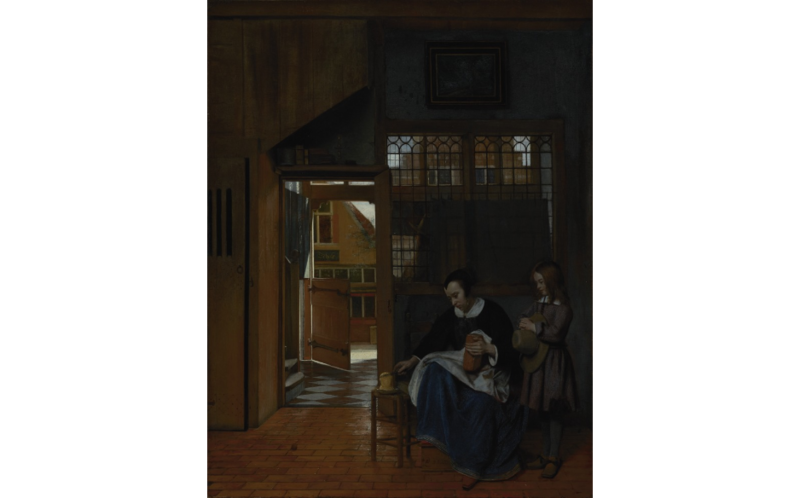 I’ve been thinking about what to blog about and wondering if I should be blogging about trivial things at all when so many people are clearly in pain. Right or wrong, I’ve decided to keep going with blogging every day in November. I’m aware that I don’t have any photos for this post so I’ve dipped into online sources for artwork. A couple of things have made me feel better this week. One has been time spent with Andrew and our kids, especially eating together. We used to do this every day but in recent times we seem to have drifted in front of the TV at meal times or we’ve eaten separately because we’ve all been doing different activities. Sharing our meals together and talking about the world, about what we believe in, about what the future might hold for all of us, has been calming. Andrew has managed to come home on Thursday evening for the last two weeks and that’s made a huge difference to us all, as well. With our teenagers growing older, we’re conscious that family time is precious. 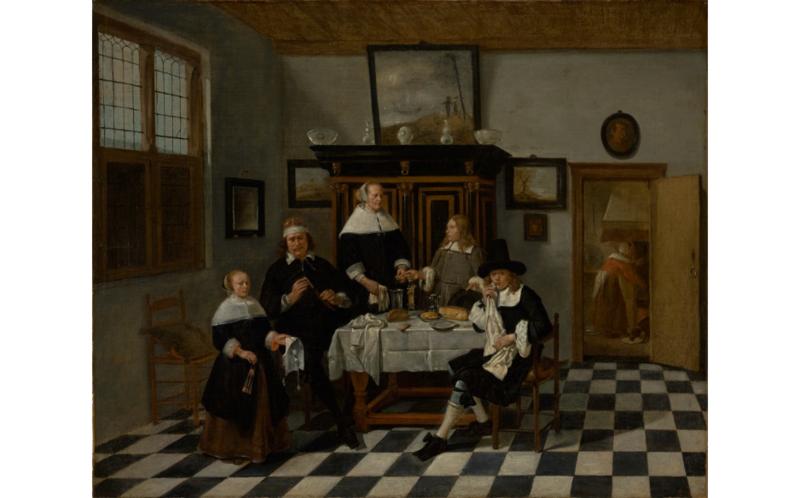 Family Group in an Interior attributed to Quiringh Gerritsz. van Brekelenkam. We aim for something a tad cheerier, most days. Something else that made me feel less helpless was taking my monthly turn on the sandwich-making rota for the soup and sandwich run that our church organises, along with all of the churches and other community groups in Trowbridge. Working together in this way, hot soup and sandwiches are given out to people in need on every night of the week. It’s not much but it shows people care. I think it’s important to hold on to that thought. Someone posted this list of items that you might donate to foodbanks as well as food which I thought I’d share here. Again, our church, like many churches, collects for a foodbank, and there’s a trolley set up in most supermarkets where you can make donations as I’m sure many of you are already doing. Items suggested include spices (seasoned salt, dried herbs, chilli powder, etc); feminine products (tampons, pads, etc); chocolate; toiletries (soap, shampoo, deodorant, toilet paper, toothpaste, etc); canned meat; baby toiletries; soup packets; socks, and canned fruit other than pineapple. This week I also returned the poems and illustrations to some of the schools I worked with on National Poetry Day in October. 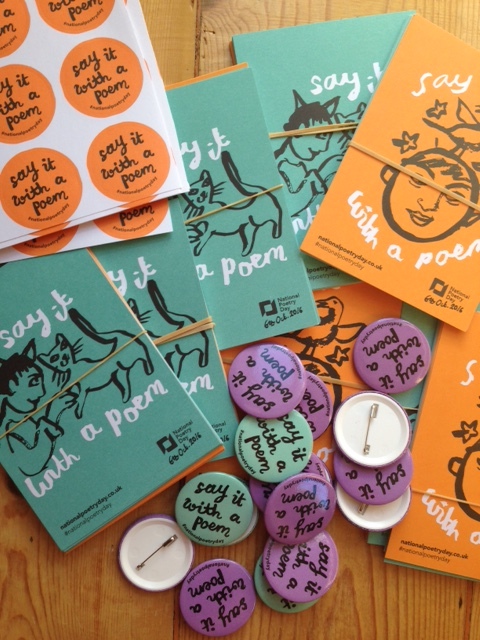 I just dropped off the work (which had been on display at the Town Hall) and also left packs of badges, postcards, stickers and posters that I’d been sent from National Poetry Day. I was reminded of what a happy, productive and enjoyable day National Poetry Day was. I’d love to find a way of doing more workshops like that, especially with schools who don’t often work with poets. I’m cutting it fine with this post and I don’t want to miss the daily deadline. I hope you’re all okay out there. Shared some of those concerns but keep going,. Not a church goer but loved the story, and what could be most useful for food banks, Ran one of my marionettes along the beach on National Poetry Day gave away some leaflets of poems. Just to say I’ve enjoyed your words and thoughts. Keep going! Welcome! I do like your your updates. Before Sunset is the middle film of a trilogy by Richard Latelinker. All very talky and almost the entire series is about a couple talking to each other. I love them all. OK, thanks, I really like getting recommendations for films. I just wanted to say that *nothing* in your blog ever feels trivial. Thanks for sharing! It is indeed really very hard to feel positive, even more so to be positive and not just give it lip-service. Your blog works for me.